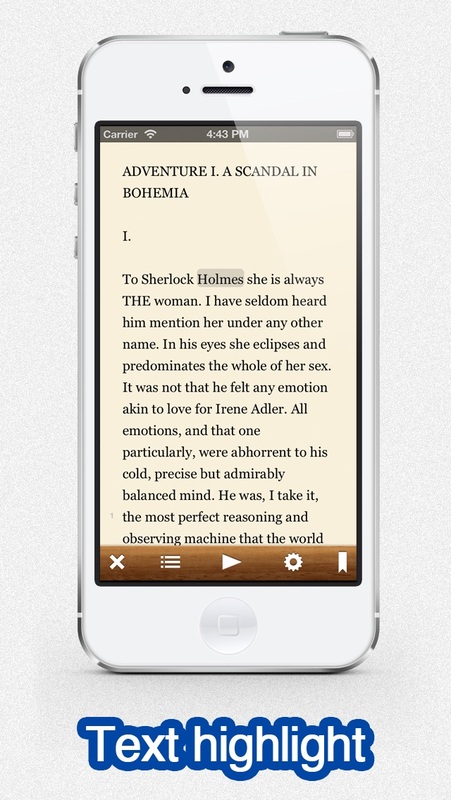 Listen to your text file from Dropbox or Evernote on the go. *If you have audio issues after updating iOS8, please reinstall the app to install voices again. With Voicepaper, you can listen to txt.file, while you are walking, exercising, or doing your daily work. Your commuting, or medial tasks can be more productive, and enjoyable. Note: Voicepaper CANNOT read pdf. It can only read txt file or text you copied. 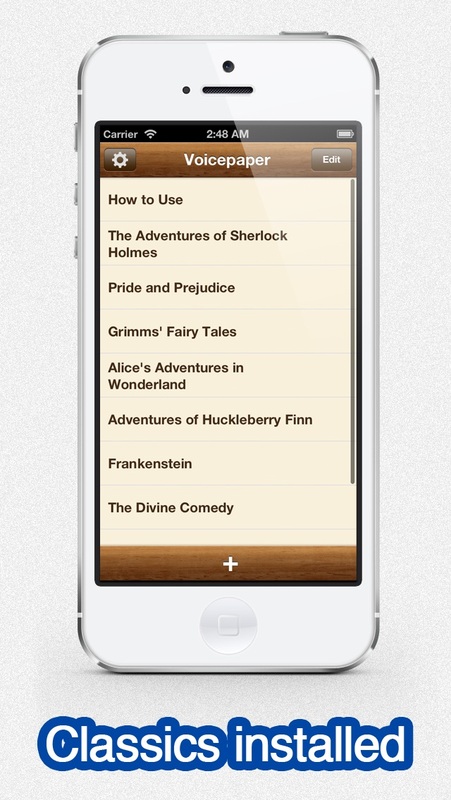 - Your Learning Assistant - Use voice paper for proof reading, or to get through your text books. With natural sounding voices in English, Japanese, German, Spanich, French, Chinese, Portuguese, Arabic, Russian, and Italian, it is also the perfect foreign language learning assistant. 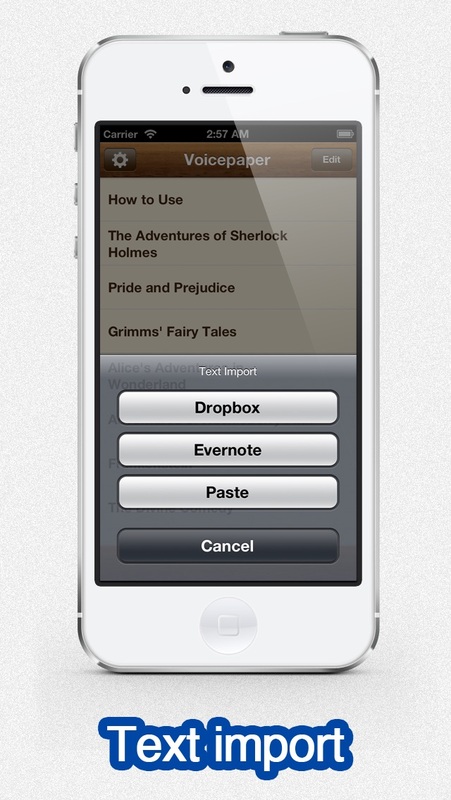 - Import Your Texts in the Cloud - Easily import your texts from Dropbox or Evernote and listen to them on the go. Also, you can control the audio with the headphones in the lock screen. This app makes studying and learning so much easier. I am able to copy and paste the text I need to learn and listen to it while I do other things. I write books and proof them with Voicepaper. It's the most listenable reader I've tried. I bought the upgrade because it's essential for me, but I wanted to support the creators as well, because Voicepaper is head over heels better than the competition. With wireless earphones, my treadmill time is not wasted. It passes quickly and enjoyably. Try it. You'll like it. Great for hearing and editing if you are a writer. I am working on both a children's book and non fiction book. Having someone read it is so helpful. I have edited as I listened and have been surprised by the reading skill algorithm that makes it sound so good. I recommend it for this purpose. Pretty amazing as a baseline. English generally intelligible though needs contextual AI to disambiguate homonyms. BUT do not waste your money on non-English voices. The French voice is unusable. And it is bloody difficult to get it to restart at another location. Needs "rewind to last paragraph" button. I use the app to paste email I'd like to hear after Siri quits reading. I use the app in the car almost every day. I just upgraded to the paid version and hoping it's worth it. The free version won't repeat and I often need to hear what's being read twice or three times to absorb it. 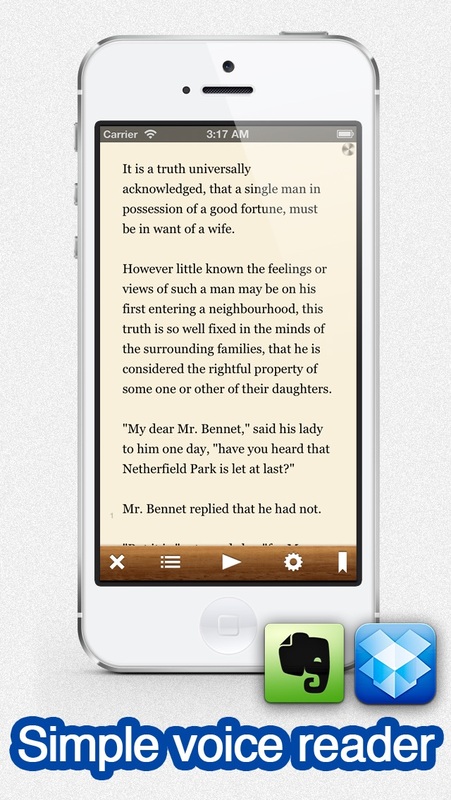 When you compare this app to voice dream reader its no match up at all. Do not waste any money on this app just go purchase voice dream reader instead.